In 2018, we were delighted to announce our brand new exclusivity, Domaine Arnoux-Lachaux. A year on, on the launch of the 2017 vintage, Guy Seddon (Corney & Barrow Fine Wine Sales & Buyer), takes a closer look at the history of the domaine. If you had to put a finger on what makes this domaine special, it would be Charles Lachaux and his unwavering focus on the vineyard. 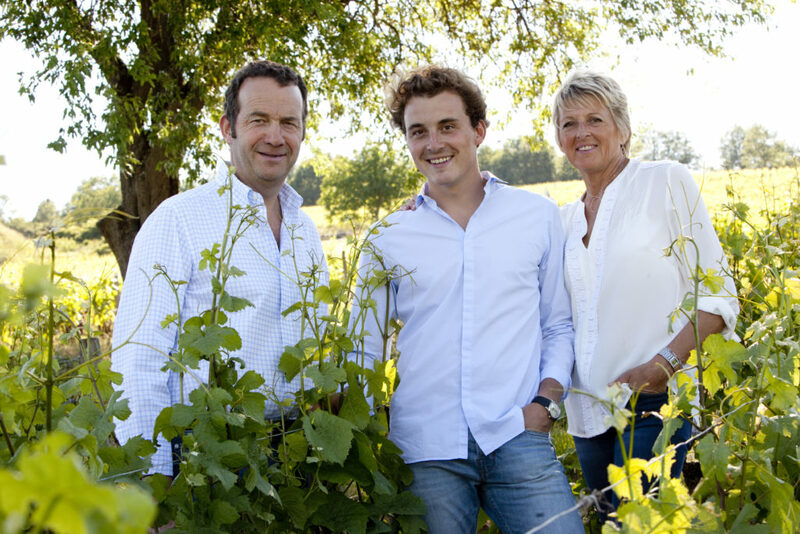 Charles represents the sixth generation of the domaine, which has always been family-owned. These two facts are crucial: there is a stability and a depth of experience here which has provided the springboard for the domaine’s current surge in quality. The other important factor is, of course, the quality of the holdings at Domaine Arnoux-Lachaux. These are focused on Vosne-Romanée, where the domaine is based, but extend south to Nuits Saint-Georges, as well as north to Vougeot, Chambolle-Musigny and Gevrey-Chambertin. Charles is the eldest of Pascal Lachaux and Florence Arnoux’s three sons. He joined the domaine in 2011 and has managed it since 2015. Charles has increased the amount of whole bunch fermentation and has decreased the proportion of new oak. He places supreme importance on the vine-growing process, where his approach has developed under the valuable tutelage of Lalou Bize-Leroy. This is our second vintage as exclusive UK agents, a role we are still childishly (but justifiably!) excited about. These 2017s will be a delight to discover, whether at our events this month in London or by pulling their corks in the years to come. The domaine was founded in 1858, with estate-bottling being introduced by Robert Arnoux, Charles’ grandfather, who was born in 1931 and took over upon his father’s death in 1957. It was Robert Arnoux and his wife Clotilde Truchetet who really established the framework for the current domaine. In 1984 they acquired the domaine’s 0.35 hectare plot of Romanée-Saint-Vivant. In 1987, Charles’ parents Pascal Lachaux and Florence Arnoux were married. Pascal worked with his father-in-law until Robert’s death in 1995. Pascal and Florence extended the cellars and built a new winery in 2005. They further expanded the estate, adding the 0.53 hectare holding of Latricières-Chambertin in 2008. In the same year, the domaine’s name was changed from Domaine Robert Arnoux to Domaine Arnoux-Lachaux, with 2007 being the first vintage bottled under the new name. Domaine Arnoux-Lachaux owns 14.5 hectares of Pinot Noir, spanning six villages and 15 terroirs. Four grands crus, five premiers crus, five villages wines and the excellent Bourgogne ‘Pinot Fin’. The domaine’s approach to pruning and canopy management has evolved importantly since Charles took over. Summer trimming is now done very late: once the shoots have grown to between 2.0 and 2.3 metres, they are trimmed to 1.8m (whereas the norm is around 1.1m). The logic here is that the growth below ground (of the roots) and above ground (of the shoots) are linked, by the complex ‘signalling’ which occurs within each vine. If you trim the shoots too vigorously, you may curtail the root growth, which in turn may deprive the vine of nutrients. The resulting natural harmony means that harvest tends to take place around 7-10 days earlier than under the domaine’s previous, conventional, method. 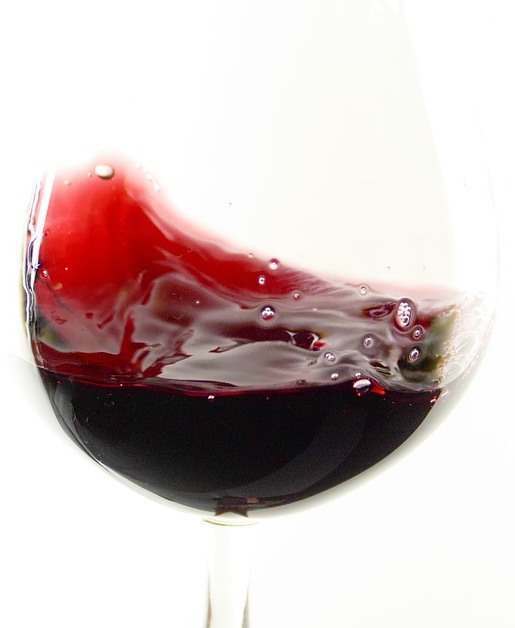 According to Charles, respecting the vigour of the vine also produces smaller berries with thicker skins, which require only light tannin extraction in the cellar. Charles’ approach has been informed by Lalou Bize-Leroy who, as mentioned in the introduction, has become something of a mentor. Madame Bize-Leroy employs this same method at her eponymous and lauded Domaine Leroy. The domaine is described by Charles as “90% organic”. It is in the process of organic certification but Charles maintains they will not put this on the label even once obtained. He is rightly sceptical about the use of both copper and sulphur, both of which are permitted by the organic framework and the effects on the long-term life of the soil. The teachings of biodynamics are heeded, with vineyard and cellar work attuned where possible to the lunar phases. A one ouvrée (0.0428 hectare!) parcel of Vosne-Romanée 1er Cru Aux Reignots is being replanted, at a density of 20,000 vines per hectare, which is twice the current average at the domaine. This high-density planting is both innovative and rooted in traditional Burgundian practices. Charles goes to pains to point out that there is no split at the domaine between vineyard and cellar work: everyone in the 15 person team does everything. The domaine’s vineyards are where the magic happens but, as Charles says, “there is no recipe in the cellar”. Nonetheless, it is worth noting that the proportion of whole cluster fermentation has been steadily increasing at the domaine, since its introduction in 2012. This will inevitably vary from year to year depending on overall ripeness levels but stylistically, it is very much here to stay. The longer-shooted vines result in higher potassium levels and therefore slightly lower acidity in the finished wines, with some plots approaching pH 4. However, Charles rightly points out that this has no impact on the sensation of freshness in the finished wines. Following an average of 12 days in cuves (rarely longer than 14 days), the wines are transferred to 228 litre barrels. New oak use is very restrained: the grands crus see an average of 30% new oak, premiers crus 15-20% and villages wines 10-12%. Extraction is not formulaic: a mixture of foot-treading, punching-down and pumping-over is used. There is no filtration. Since the 2010 vintage, long 54mm corks have been used, which require an especially long bottle-neck. 2017 saw a return to ‘normal’ vintages in Burgundy, with potential yields being high. Domaine Arnoux-Lachaux’s policy was to maintain reasonable yields, using very high trellises to obtain dense, intensely concentrated fruit, so as to obtain the most frank and transparent translation of each terroir in the glass. The high trellising and low yields ensured early-ripening grapes, which in vintages with warm, sunny ends to the growing season, such as 2017, tends to mean that the domaine harvests earlier than the majority of its neighbours. This has the added advantages of keeping alcohol low and acidity fresh, whilst allowing Charles to ferment using a good proportion of whole bunches. View the full 2017 offer from Domaine Arnoux-Lachaux here.